Home » Undergraduate Program » Who Are My Advisers? Current students have access to three different advisors: Professional Advisors, a Faculty Mentor, and a Peer Mentor. The professional advisers in the FASC Office of Academic Advising advise undergraduate students in the College of Arts and Sciences and University College. Medical schools, Physician’s Assistance Program, etc. Teacher certification in the State of New Jersey is undergoing significant transformation. 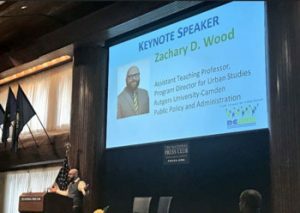 To meet new demands, the Rutgers Camden Teacher Preparation Program requirements are changing as of the Fall 2018 semester. Coursework on advisement sheets are valid only for those that have been officially admitted to the TPP no later than September 30, 2017 and have all courses completed by Fall 2018. To be admitted, students need a 3.0 Rutgers GPA, passing Praxis Core scores, and an appointment with the TPP staff no later than September 30, 2017. If you would like more information, please contact the Teacher Prep Program at 856-225-6051 to schedule an appointment and visit our website: https://iee.camden.rutgers.edu/teacherprep/. Peer mentor is a senior student with much experience in our program. You may tweet your questions to Alessio Russomanno (@RUC_PM) or email ar909@scarletmail.rutgers.edu. Faculty mentors are experts in their academic disciplines. Students may get advise from the faculty mentor on biology discipline-specific questions. Page last updated by Department of Biology at 12:29 pm August 28, 2018 . This page was printed from http://biology.camden.rutgers.edu/undergraduate-program/advisors/ at 7:06 AM Sunday, April 21, 2019.